Women are born with a finite number of eggs, around 1-2 million. At puberty, that number has dwindled to 300,000 and subsequently approximately 750 eggs are lost each month by a process called atresia. The eggs not only begin to diminish in quantity, but especially also in quality. The combination of these factors leads to a woman’s fertility beginning to decline in her 20’s and significantly deteriorating after age 35. The chance of conception for a woman older than 43 is very low. It has been more than 2 decades since Chen (1986) reported the first frozen egg birth. The reason for the slow proliferation of egg freezing was the very poor success rate. Conventional “slow” egg freezing techniques result in ice crystal formation inside the egg, damaging it and compromising its survival. Two recent breakthroughs have allowed scientists to overcome these egg freezing problems. The first is the development of a new culture media system that protects the egg from damage during the egg freezing/thawing process. This culture system dehydrates eggs during egg freezing and rehydrates the egg during thawing, thereby minimizing the formation of ice crystals during the egg freezing process. The second is ultra rapid freezing (vitrification). By ultra rapid freezing it is possible to avoid ice formation that would otherwise damage the eggs. In this way it is now possible to eliminate both important impediments to safe egg freezing and achieve good survival of frozen eggs. Egg freezing has become “mainstream” only since 2007-2008. Cape Fertility is using the Cryotec vitrification system. The Cryotec method is highly simplified vitrification protocol. With this freezing system the survival rates of frozen eggs are very high. Who can benefit form egg freezing? There are many situations when it may be appropriate to freeze eggs, these can be: When a younger woman wants to preserve her fertility and store eggs while she is still young; When a woman is at risk of losing her fertility as a result of cancer therapy; or If ethical/religious considerations doesn’t permit the freezing of embryos. Ovarian reserve determines how many good quality eggs are left in the ovary. This can be determined by undergoing a normal ultrasound of the ovaries. With the ultrasound we can estimate the number of resting eggs in the ovaries and observing the image of the uterus. The ovarian reserve is further assessed by measuring the level of 2 different hormones. This is measured by a blood test performed following the first few days after starting a new menstruation. These two hormones are FSH and AMH. Injections are started on the third day of a new menstrual cycle. The injections must be taken for 10 to 12 days. It is possible to inject yourself. The doctor will do several ultrasound examinations to see when the best time is to retrieve your eggs. The egg retrieval is a small and painless operation under sedation. 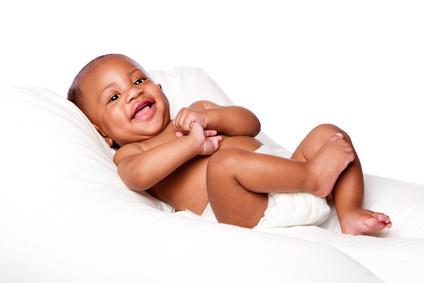 The procedure is performed at the premises of the Cape fertility Clinic. No hospitalization is necessary. You can be discharged after two hours, and you will need to take one day of work. After your eggs have been retrieved, they are prepared in our laboratory by the embryologist. The embryologist will evaluate the appearance of the eggs and begin the process of preparing the eggs for freezing. Cape Fertility is using the Cryotec vitrification system. The Cryotec method is highly simplified vitrification protocol. With this freezing system the survival rates of frozen eggs are very high and is much better than standard vitrification systems. The eggs are stored in the laboratory. They are stored in a liquid nitrogen container at a temperature of -196 degrees Celsius. Egg freezing is a very new technology. Therefore the ASRM (American Society of Reproductive Medicine) has described it as “an experimental technique” only to be performed under investigational protocol. Because the procedure is still new there are no good statistics available of the survival of the eggs and the pregnancy rates. The new developments however are very encouraging and many scientists believe that egg freezing can give women a good option to preserve their fertility. The current evidence states clearly that no increase in chromosomal abnormalities, birth defects, or developmental deficits have been noted in the children born from frozen eggs to date. (ASRM guidelines). The costs are variable from woman to woman. It depends on how much medication is used to stimulate the ovaries. A good estimation (2017) is 38.000 Rand. This fee includes all the medication, the doctor’s fees, the theatre fees, and all the laboratory fees. The storage fee is 1960 Rand per year.